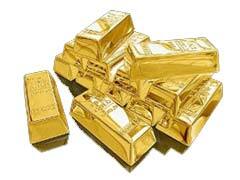 In the recent years quite a few of Canadian gold bullion ETF’s have entered the stock market. Majority of Canadian gold bullion ETF are gold investment companies who make their goal to track the price of gold and hold their assets in forms of large physical bars of gold placed in several secure vaults around the world. There’s another very big advantage of investing in Canadian gold bullion ETF’s that a lot of gold investors might find attractive, that is freedom of choice of how many shares to buy. You can buy as little or as much as you want opposed to buying physical gold that currently come with a huge price tag. Our gold ETF list is topped by relatively new Canadian gold bullion ETF based in Toronto, Sprott Physical Gold Trust (PHYS). According to many stock market analysts this company is believed to become one of the fastest growing gold ETF’s on the market. Majority of Sprott Physical Gold Trust gold assets are stored at the state of the art vault system of the Royal Canadian Mint that come with unconditional guarantee of the Canadian Government. This is pretty impressive for gold ETF and definitely adds to its stock potential. Claymore gold bullion ETF (CGL) is another Canadian gold bullion ETF that has showcased steady growth patterns and low fund management fees of 0.5%. Claymore gold ETF holds most of its physical gold in forms of large 100oz and 400 oz size bars in several large and secure vault systems. These gold investment funds are mentioned in the article exclusively for informational purposes and should not be the basis for your investment decision. Before investing in Canadian gold bullion ETF it’s important to research gold ETF’s investment objectives, fund management expenses and financial charts.